The BMW 330e M Performance Edition. tail lights that round up the dynamic look. loan on a four-year tenure, with a mileage capped at 20,000km per year). The BMW X5 xDrive40e M Performance Edition. The stainless steel pedals add a striking motorsports feel to the interior. The BMW X5 xDrive40e M Performance Edition comes in Carbon Black, Mineral White or Space Grey. All exterior colour offerings are paired with Black Dakota Leather, whereas Carbon Black offers an additional option of Terra Dakota Leather. 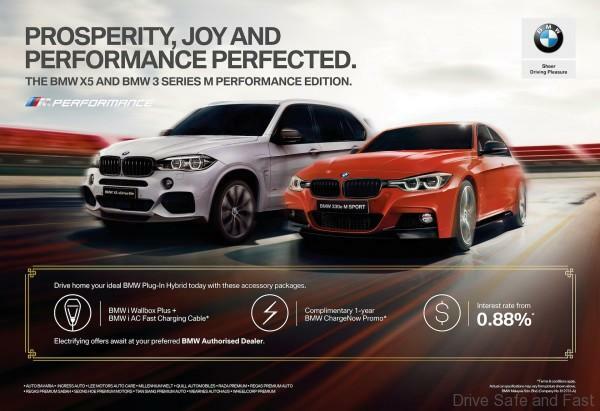 In addition, the CNY@BMW Campaign will grant owners of the BMW 530e, BMW 740Le and BMW X5 xDrive40e a complimentary BMW i Wallbox Plus and BMW i AC Fast Charging Cable at no additional cost. With any purchase of BMW Plug-In Hybrid vehicles, new owners can also take advantage of the BMW ChargeNow Promotion which offers a complimentary BMW i AC Fast Charging Cable and BMW ChargeNow card. In collaboration with GreenTech Malaysia, the BMW ChargeNow card offers owners unlimited, complimentary access to the ChargeNow mobility services via the ChargEV platform for an entire year. 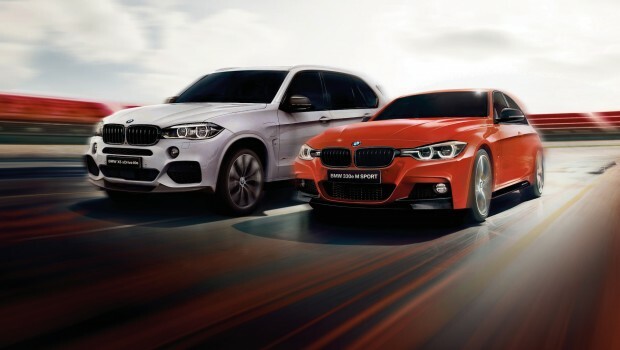 The CNY@BMW campaign ends on 31 st March 2019.